Work has started on a new fleet of state of the art trains destined for the South West, as almost 100 are being built for Great Western Railway. The news was announced by tech giants Hitachi Rail Europe, with 36 trains being built in Pistoia, near Florence. Intended for use predominately between London Paddington and Devon & Cornwall. These trains will mean more space, more seats and an improvement of facilities aboard the trains while some areas and lines can actually experience shorter journey times. 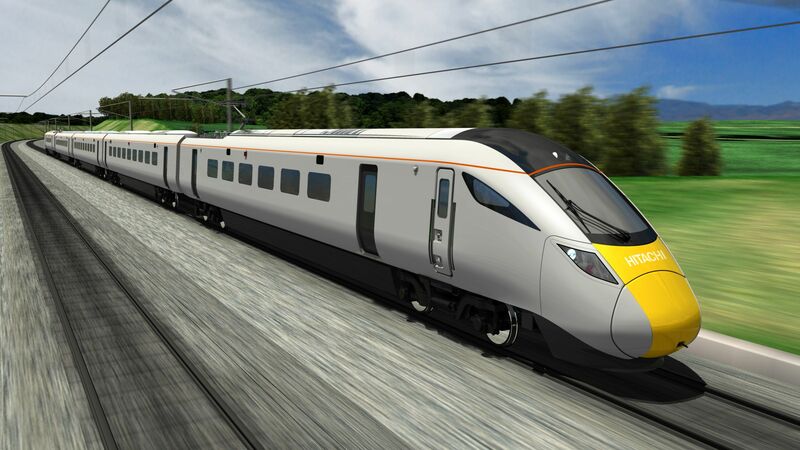 There will be a total of 93 trains built from the Hitachi factories in both the United Kingdom and Italy, using ‘Japanese bullet train technology’ as described by GWR. It is expected that the first wave of InterCity Express trains will be in operation along the historic Great Western main line, which connects London to a number of cities including Bristol and Bath from autumn 2017. A second wave will begin running along the lines across Devon and Cornwall, helping to create that link between not only the South West and the capital, but other major cities which has been a problem. Passengers can expect a whole host of new technology, including seat reservation screens and real-time journey updates. Hitachi Real Europe will be creating 150 new rail jobs at their recently built depot. Work at the £80 million facility at Stoke Gifford, near Bristol Parkway Station, will include readying the trains for passenger services and engine tests.